The New Zealand Defence Force has announced improvements to soon be introduced to their uniform selection including the introduction of their own Multi Terrain Camouflage. Their MCU will replace the current uniforms which utilize the dual environment Disruptive Pattern Material and Desert DPM camouflage. The UK had made a similar move with the introduction of their PCS utilizing the Multi-Terrain Pattern, which replaced their Woodland and Desert DPM camo. New Zealand's Multi Terrain Camouflage should not be confused with the British Multi-Terrain Pattern, which was developed by Crye Precision and is based on their MultiCam Pattern. The new camouflage as shown above in a sample includes pixelated elements along with layering of macro and micro patterns. Though the colors utilized are somewhat similar, which may be inherent with developing effective concealment for multiple environments, especially if Afghanistan is a focal point for the design. The move to a multi-terrain pattern has been given credence due to operations in Afghanistan, which provides transitional environments where a pattern specific to one terrain proves ineffective when utilized for a disparate area of operation. The NZDF notes that the DPM proved less effective as it was meant for temperate environments. 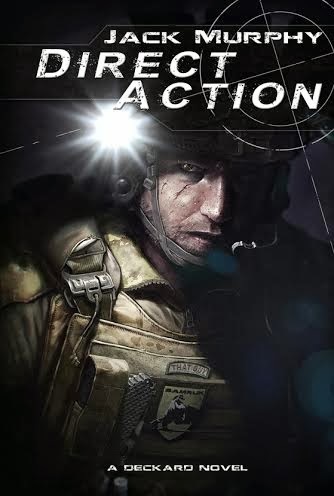 They are also taking inventory on the multiple armed forces outside of New Zealand that also utilize DPM, which takes away from their ability to stand out as a unique defense force. Both elements correspond with the actions of other nation's armed forces seeking out a versatile camouflage patterns. 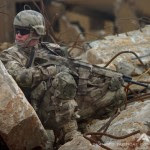 The move in the direction of one pattern is in contrast to the U.S. Army's decision to seek out the possible use of multiple environment specific options to choose from despite their use of MultiCam in Afghanistan. It is quite interesting to see the different perspectives given the information already on record for camouflage effectiveness. The US Navy and Marine Corps have already reverted to multiple colorways for their camouflage pattern. Australia is currently using MultiCam in Afghanistan and is also having their own MultiCam pattern developed for use in Afghanistan, while they too have their own distinct Disruptive Pattern camouflage along with a desert variant. 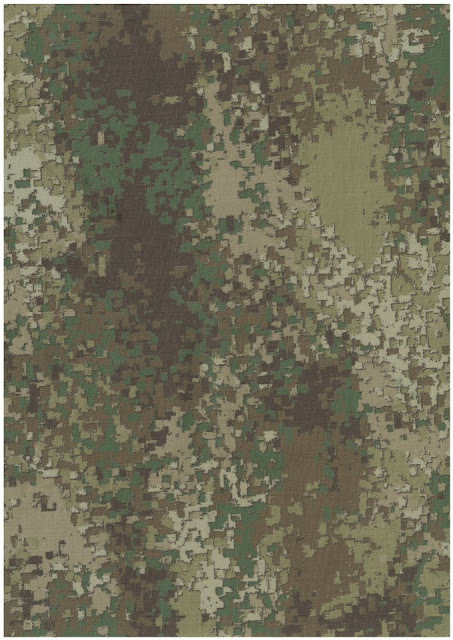 While it is not surprising that the NZDF is adopting a Multi Terrain Camouflage as it has also been reported that they have utilized MultiCam with their special operations forces in Afghanistan, we find the distinct pattern quite interesting as it appears to not be a typical Crye Precision design. A name designating function for concealment should not be mixed up with previous use of the term or prior recognition given to a design company. The New Zealand Defence Force has explained the selection process which included the review of numerous submitted patterns. This was narrowed down to 12 different designs which were tested in 2011 in Waioru utilizing woodland, arid, urban, and open country terrain. This culled the herd down to five semi-finalists which went on to uniform production for additional assessment. The next evaluation utilizing the produced military clothing was conducted by the NZDF Capability Branch and Combat School Staff in the same region as the original testing which further narrowed things down to just two camouflage pattern finalist. The finals took place at Kaipara Air Weapons Range, countryside north of Auckland, and Whenuapai Airbase which respectively represented arid, woodland, and urban environments. It was noted that final selection was determined based on aesthetic appeal as the additional testing showed negligible superiority in concealment. A super majority of 80% determined that the pattern shown above would be utilized for their Multi Terrain Combat Uniform or simply known as the MCU. 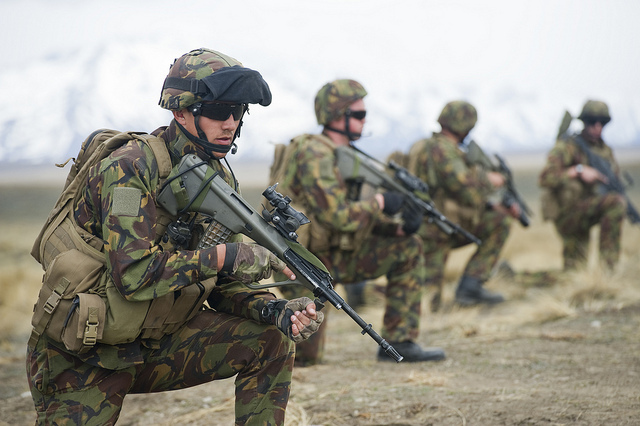 Furthermore they will be providing training and flame resistant variants of the uniform for use by the NZDF, which will start to be phased in during 2013. While it has not been divulged publicly as to which design company submitted the winning pattern, we would assume that this information will soon be made apparent. The NZDF has a combined Regular and Reserve force of just under 11,000 troops, so the ability to quickly develop the new uniforms for transition will not be nearly the task presented to the US Army or other nations with larger numbers. We do think the unique pattern will definitely take notice to differentiate New Zealand from the UK and other forces using DPM. It would certainly be interesting to see what other camouflage designs were submitted, especially the other pattern that tested well but was passed up on aesthetics. The NZDF camouflage effort and selection process can definitely provide an added perspective on pattern selection for any nation. Having first seen this pattern i thought I had seen it somewhere before, and then read the article that it had been designed by Hyper Stealth, and i guess that it were I had seen it. Then it dawned on me that I had seen this pattern on http://www.survival-nature.com/english/catalogue/landcamo.html within their ABD range of patterns also linked at the top of landcamo site is the photos of the ABD/SERE. I find it strange that these patterns look so alike and i know the Owner and Designer of SSFN Landcamo and those patterns have been on his site for years. I think we know where Hyper Stealth gets their ideas from. New Zealand and Australia similar climates! same area of the world! ABD patterns would fit in here perfectly there, sorry that is a ABD Pattern well done Hyper Stealth for bringing SSFN Landcamo ABD patterns to market. Just in case anyone is interested, have a closer look! No need to hide, we are friends here. That photo on the Landcamo site was posted April-22-12, the oldest record of that ABD pattern that I can find is from April 2012. The NZDF Trials were already over at that time and our pattern had already been selected a few months prior to April 2012. We have been showing the MCU camouflage at a number of trade shows since May 2011. So who is copying who? Please, Mr. Guy Cramer, have a little dignity and show some respect. You can't just shake your mouth all over the place and tyrannize anyone around you just like that you have created this planet!!! This way you can treat your mamma, ok! I have great experiences from living in the nature in its vast environmental features, from my own contribution in the War of independence of my own nation, knowing about camouflage significance from my professional work as a Survival and SERE instructor for Army Special Forces, Reconnaissance units, Air force pilots both foreign and domestic, I have provided this training for the past 22 years now. From my point of view and lifelong perspective, you are just an immature adult person living in its unrealized dreams of being a soldier. 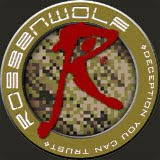 Just from curiosity, tell me why you didn’t show this pattern before, why did it appear on the web after Landcamo ABD/SERE on Soldier Systems and Predatorsbdu blog websites? You are saying that you have been showing the MCU camouflage at a number of trade shows since May 2011, well that is very interesting why Soldier Systems didn’t notice that? I guess many camouflage experts and admirers will agree with me, you are just full of yourself so please stop, don’t push me any further. But, no worries, I will definitely write to the New Zealand Ministry of Defense regarding this matter. Brane, please Email me directly at gcramer@hyperstealth.com so I can send you to the web pages with our pattern used by the NZDF. There you can verify the date. We can also do this publicly if needed. For reasons of security, we don't post publicly any country patterns while in field trials, we have to wait until a formal announcement is made and that just happened with the NZDF. We show many patterns at trade shows - over 40 - not all are discussed on forums, nor did we tell anyone at the trade shows that this particular pattern (MCU Camouflage) was being field trialed. 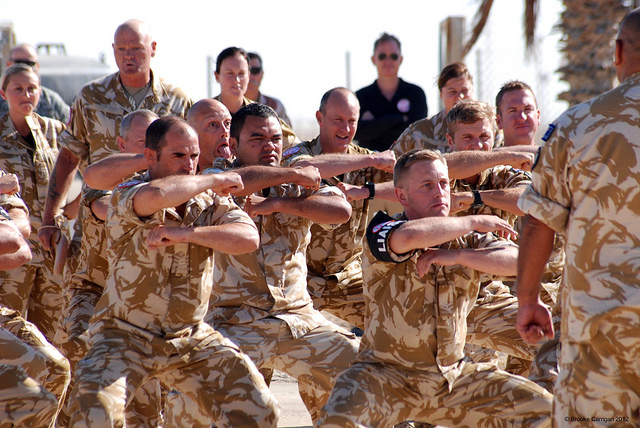 The NZDF has had our pattern since May 2011. If I had a dollar for every time some uninformed blog or forum poster has stated that a Roggenwolf design resembles their particular favourite, I'd have at least 12 bucks by now. I reckon this anonymous troll is the sort of person who'd poke a beehive with a stick, if he weren't afraid of being stung. So instead, he goes onto blogs and forums and tries to stir up trouble from the safety of his own home. Don't give him the satisfaction. Guy, you know you didn't copy anything from SSFN LandCamo; Brane, you know you didn't copy anything from HyperStealth; so who cares what some faceless troublemaker says? Laugh it off. At the end of the day, we're all colleagues working in a small and unusual industry. We should treat each other accordingly. Any possibility to see some images of the trial and the patterns submitted, also some details on the companies involved. I cannot do that without permission from NZDF.